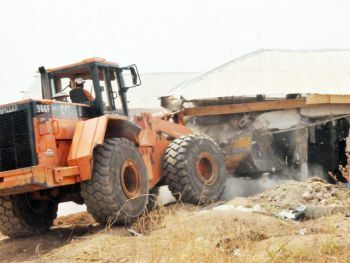 The Lahore Development Authority’s (LDA) Planning Wing demolished three illegal private housing societies in the city. The LDA officials demolished gates, walls, sewerage system and other infrastructure of Ali Homes, Subhan Gardens and Akhtarabad. The spokesperson of the LDA said that the action will spread awareness among the general public about the status of housing schemes. The authority has already advised people to confirm the status of private housing schemes from the LDA before buying property there so that they can save their hard-earned money.